Home automation is something that is rapidly gaining popularity amongst homeowners throughout the United States, and it’s really no secret why. With the busy lifestyles we all live in the 21st century, we’re constantly on the go, leaving little time to check if the stove was turned off or if the garage door was closed. But with home automation, that all becomes a thing of the past, as you’ll be able to control virtually every electrical component of your home remotely, from a computer, tablet, or smartphone. In Sudbury, Wayland, and other nearby Massachusetts communities, the name to trust for the installation of one of these intricate systems is VMA Electric. Of course, you don’t have to choose to have all the devices in your home automated; that’s the beauty of these automation systems. If you’d prefer to only automate a few devices in your home, our team can do just that – the options are entirely up to you. 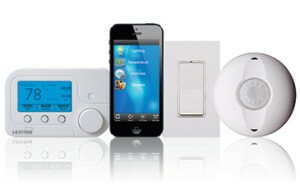 To learn more about home automation, the capabilities of these intricate systems, and how they can make life simpler for you in Sudbury, Wayland, or any other nearby MA community, please contact VMA Electric today.